I came to Le Carre, and this movie, through Tinker, Tailor, Soldeir, Spy, which I just love. 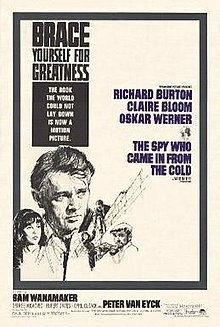 After that movie, which is stylish and intriguing and demands to be re-watched, The Spy Who Came In From The Cold is kind of like the ugly sister-in-law you ogle at family functions. Whatever that’s supposed to mean. I know John Huston has made better films — The Treasure of the Sierra Madre and The African Queen jump immediately to mind — but this isn’t one of them. I don’t care it was nominated for Best Picture, Director and Actor. 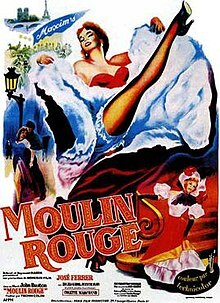 This is clearly one of the lesser-films in Huston’s oeuvre — it would be a lesser film in any oeuvre — drawn down by an annoying and braying performance by Jose Ferrer, who’s height varies wildly from scene-to0-scene and uninspired ‘decadence’.